Join us for the second annual Constructing Your Future Women’s Forum, offering a full day of professional development and networking specifically for women in the A/E/C industry. Hear Keynote presentations on “Building Your Career: Cementing Your Future” and “Emotional Intelligence” and choose one of the following break-out sessions: “Leading People, Managing Tasks” or “Teamwork: Empowering Collaboration”. Then wrap up the day with a captivating panel of industry professionals! Bring plenty of business cards to exchange and network with new connections. 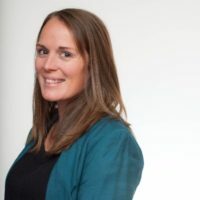 10:30 am – 12:00 pmWorkshops (choose one): "Leading People, Managing Tasks" or "Teamwork: Empowering Collaboration"
"Building Your Career: Cementing Your Future"
Jenni Scott is the Managing Director for Hays Construction & Property division in Chicago. Hays are a leading global professional recruiting group, specializing in the recruitment of qualified, professional and skilled people worldwide. Hays operates across the private and public sectors, dealing in permanent positions, contract roles and temporary assignments. With 10,000 staff operating from 250 offices in 33 countries across 20 specialisms, last year Hays placed around 70,000 candidates into permanent jobs, and around 240,000 people into temporary assignments. 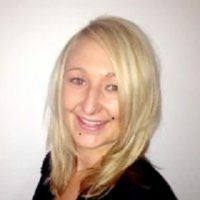 Jenni brings 12 years of experience with Hays across Australia and North America as an Expert Construction & Property Recruiter. Jenni’s extensive experience leading executive search & select recruitment campaigns has seen her successfully partner with property developers, general contractors, specialty subcontractors, commercial real estate and asset owners alike delivering the best talent available. 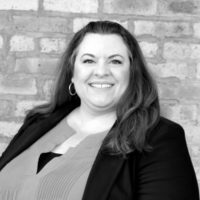 Jenni and her team in Chicago specialize in sourcing Construction Executives, Project Managers, Project Engineers, Superintendents, Estimators and Pre-Construction experts within the Commercial, Multifamily & Industrial sectors. 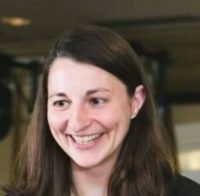 She has a strong reputation for building a foundation of business, based on trusted client relationships, strong industry expertise and finding the right match for her clients and candidates. 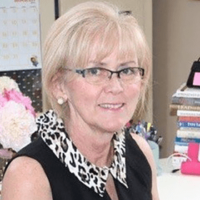 Maureen Keane is a Professor, Parent and Professional People-Promoter. As an Executive Coach, College Professor, and Entrepreneur, she has one foot in academia and one in the “real world”. Maureen influences future leaders at Lewis University and Loyola University, designing and delivering undergraduate and graduate courses. Maureen partners with leading-edge companies, including McDonalds, ATI, Martin-Brower, and Reyes, coaching and facilitating trainings in the U.S., and abroad – focusing on Leadership, Communication, Emotional Intelligence and other important life/workplace skills. Maureen spent 16 + years with IBM – thinking, learning, managing and marketing. She earned a Master of Science in Managerial Communication from Northwestern University and is a credentialed MBTI practitioner, and ICF (ACC) Coach. Workshop Description: "Leading People, Managing Tasks" - It’s not about your title! All of us take a leadership role everyday with colleagues, consultants, customers and subcontractors. And if you are the manager, did you know the number one reason people leave their job is their boss? And no one wants to be that guy! Join us for an interactive discussion where we will distinguish between leading and managing and discuss practical ways to enhance your leadership style. Workshop Description: "Teamwork: Empowering Collaboration" - Teamwork can increase productivity, why? Because a group can often accomplish much more than an individual. The most effective teams also embrace a culture of strong collaboration. Teams are inherent to construction projects, and collaboration within teams and between various teams is the ingredient that drives high performance. Learn how teamwork and collaboration differ, why collaboration is a must in the construction industry, and how leaders can empower their teams to step outside their work silos, fostering collaboration and maximizing team performance. Marty Ozinga IV is President of Ozinga, a fourth-generation family business best known for its red and white striped concrete mixer trucks. In 2012, Marty took the reins of running the family business from his father, Marty Ozinga III, who continues to serve as Chairman of the Board. He is the fourth individual to lead the company since its founding in 1928. Marty is joined by his five brothers and one cousin in the fourth generation of ownership, all of whom are currently working in the business. Marty earned a BA in economics and business from Westmont College in Santa Barbara, CA, and an MS in communications from Northwestern University. He has served on boards for numerous not-for-profit organizations, including serving as President of the Board of Daystar School from 2008-2014. Marty and his wife Amy reside in the Little Italy neighborhood of Chicago with their six children. Recently named a Chicago Tribune Top Workplace, Ozinga has more than 2,000 employees and operates in Illinois, Indiana, Wisconsin, Michigan and Florida. Marjory Bredrup has been with True North Consultants since 2011. 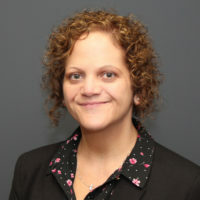 She oversees the Soil Management Department of the company, which performs environmental due diligence and soil testing for commercial, municipal, ISTHA and IDOT projects throughout Chicagoland. Her expertise as a consultant stems from her prior position as the CCDD Compliance Manager at a Clean Construction and Demolition Debris facility. In addition to her role as a Project Manager, Marjory is responsible for business development, estimating and department scheduling. Along with membership in several professional organizations, Marjory is a member of her School Board’s Citizen Action Committee, as the representative of parents whose young children are future students of School District 91. Jeanette has been with F.H. Paschen since 1994, when she entered the industry as a clerk and worked her way up the ranks to the management team. 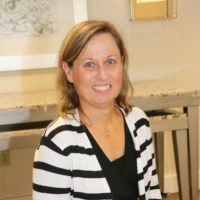 She has worked in different capacities on projects of varying sizes and has been involved with operating and managing satellite offices in New Orleans and Virginia. Most recently she made a move back to operations from the executive team where she was Manager of Administrative Affairs and HR Manager for nearly 10 years. She is a graduate of Benedictine University with degrees in Business Administration and Business Management. Through the development and implementation of our comprehensive corporate Safety & Health program, Brittany guides our staff – or anyone who may set foot on a Blinderman jobsite – in preventing and avoiding accidents, injuries and illness. Her goal is to help each person perform their job in such a way that both projects and the public are protected from harm, workers are physically able to continue working and retire in good health, and the fiscal well-being of Blinderman and its work partners is supported. Brittany’s focus on risk management and injury prevention is the engine that drives safety as a value throughout our company culture. Jill McCall is the Executive Vice President for the Mechanical Contractors Association of Chicago. The MCA of Chicago is a membership organization that represents more than 400 union contractors who service and install technologically advanced and energy-efficient heating, air conditioning, refrigeration and process piping systems across the region. She is the 6th person to hold the EVP position since the group’s inception in 1888 and the first female to serve. Jill’s commitment to engage in and provide lifelong learning opportunities shines through her education and career path. 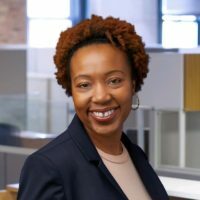 Jill came to the MCA of Chicago in 2016 with a BS, JD, MBA and a Certified Association Executive (CAE) designation and went on to complete the Construction Education Institute’s Essentials of Project Management (2017) and the Center for Conflict Resolution’s Mediation Certificate (2018) programs. Before becoming the MCA of Chicago executive, Jill spent 15 years serving a national association, where her expertise grew from career counselor to executive for emerging professionals, practice technology, and continuing education/accreditation. Jill hopes some of the groups she’s engaged with recently will inspire future generations to consider careers in construction and the law. 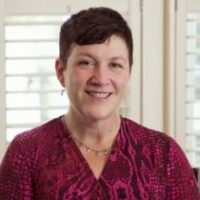 In 2017 she started helping the Mechanical Contractors Association of America (MCAA) create a Women in the Mechanical Industry affinity group (she helped the MCA of Chicago establish its group in 2016). Jill also completed a term of service in 2017 as co-chair of the longstanding Chicago Bar Association’s Alliance for Women. At home, Jill and her spouse Kevin are raising 5 kids (aged 4-14) and a dog. She also co-chairs the District 205 Summer Recreation Open House, a free fair held in Februarys at York Community High School in Elmhurst, IL to help parents figure out summer activities for their kids. Valeria Wright is a Senior Project Manager at J.A. Watts responsible for total project management including bidding, negotiating contracts, scheduling, controlling budgets, business development and providing day-to-day communication with the project team to ensure jobs remain on schedule and within budget. Valeria is team leader and holds an excellent track record of strong working relationships with owners, architects, engineers and contractors resulting in successful construction experiences. Valeria holds a B.A. 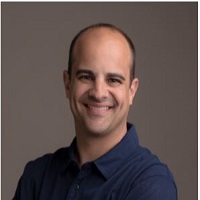 in Architectural Studies from the University of Illinois at Chicago and has over 18 years' experience overseeing all phases of multi-million-dollar construction projects in the public and private sector. She has managed aviation, infrastructure, stadium, residential, commercial and retail projects. Throughout her career, Valeria has had the opportunity to work with clients such as The Chicago Department of Aviation on the O’Hare Modernization Program, United Airlines on their United Club renovations, Southwest Airlines on facilities upgrades, Union Pacific Rail Road on new rail and bridge replacement projects, Illinois Sports Facilities Authority on the US Cellular Field renovations and Chicago Housing Authority on their family and senior housing renovation programs. Valeria is Project Management Professional (PMP) trained and was honored by her peers in the National Association of Professional Women as 2016 Woman of the Year. When Valeria is not traveling the county for work, she enjoys spending time with family, cooking, singing and volunteering for various missionary efforts.